Congratulations are in order, so say it with style using the woodies stamp. 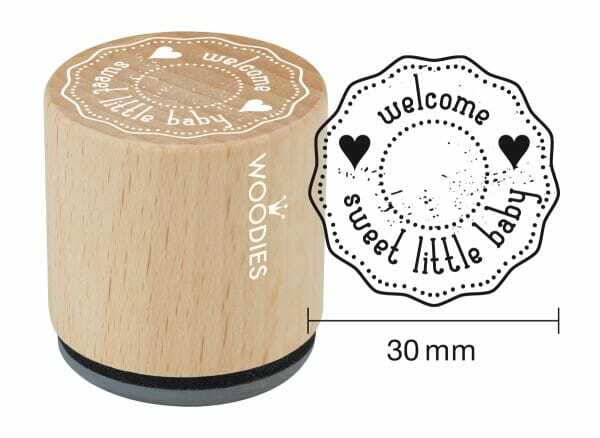 Featuring 'welcome sweet little baby' wording, the dainty 30mm stamp is made from beech wood and 100% natural rubber ensures durability over time. So whether you are a creative professional or budding amateur, this funky woodies stamp presents a quick and easy way for creative crafters who want to go that bit further. Customer evaluation for "Woodies stamp welcome sweet little baby"